So now that you have convinced your colleagues that robots are an idea worth pursuing, you will need to focus on the couple of applications that were identified as ‘’Potential for Automation’’. You will need to gather data in order to make a sound decision on your first application to automate. We suggest that you create a document with the following information, so it will be easier to justify to management which application is best suited to be your first collaborative robot. Don't worry, we've prepared an evaluation grid you can use for this. 1. DOCUMENT VIA PHOTOS AND VIDEOS. This is essential as it will help you revisit the application and analyze it further, without having to go down to the shop floor. You should take pictures of the part input and output area, as well as video of the entire task from beginning to end. Take notes and sketch the cell layout. Describe in sequence how the task is currently being performed. This might be similar to how an experienced worker would explain the process to a new colleague. Don't focus on the robot constraints for now, we'll get to this later. It will be the starting point to compare applications with respect to their challenges and potential for reward. It will be used to show management how you chose your first application and what other ones could follow. 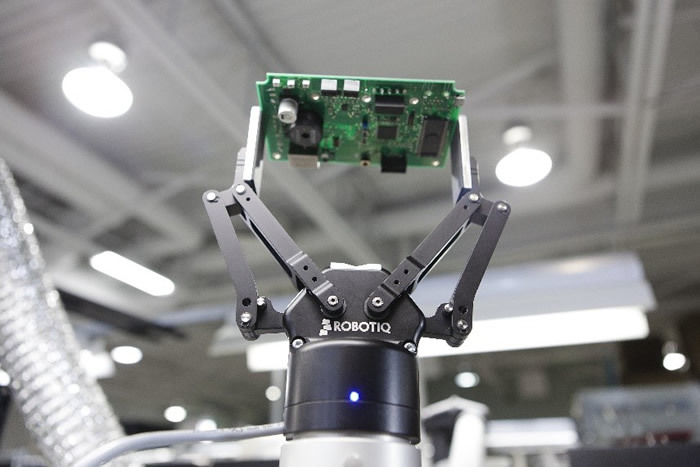 This will reduce the risk of purchasing a first robot, knowing it can use at many places to replicate the potential improvements across the plant.